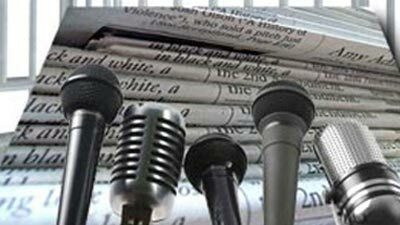 Mahikeng Municipality manager cries foul over 'media bias' - SABC News - Breaking news, special reports, world, business, sport coverage of all South African current events. Africa's news leader. Recent media reports say the municipality has invested R85 million in the VBS Mutual Bank, without following due processes. The manager of the embattled Mahikeng Local Municipality in the North West Thabo Mokoena has accused the media, including the SABC, of being used to tarnish his reputation, and that of the municipality. The municipality is also reported to be paying R96 000 a month for a non-existent toilet at a local taxi rank following Mokoena’s approval. Mokoena says the allegations against the municipality are untrue. “I was told by a certain person, who was the head in the office of the executive mayor… he said to me, the only way to survive reputational damage in Mahikeng, is to give this person at SABC work. He’s a news reporter,” explains Mokoena. “If you give him work, he’s not going to report bad about you. And that person has sent me the message saying, we’ll be inviting every stakeholder in a hall, where people are going to come, people are going to talk about this thing of VBS or whatever. This is the same person who said I must give him a job,” he adds. This entry was posted on 05 Jul 2018,05:53AM at 5:53 AM and is filed under Politics, Homepage Latest Stories Slider. You can follow any responses to this entry through the RSS 2.0 feed. Both comments and pings are currently closed.